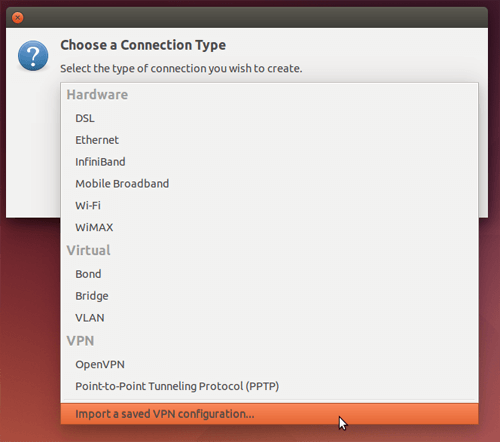 The first thing you need to do to connect to our VPN-tunnel is to open system settings. Once you open System settings, click Programs & updates. Make sure universe is activated. If you receive a message about a software update, please approve it. If you receive a message asking for authentication, please enter you passwords. You can open a new CLI by pressing Ctrl + Alt + t at the same time, or by searching after a CLI. Double-click the file to extract the content. 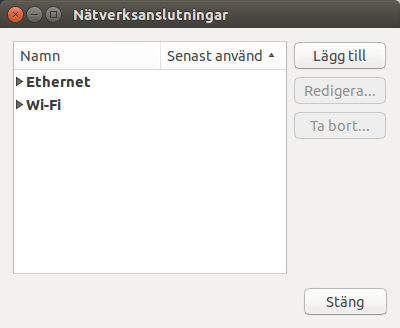 Click the network icon in the upper right corner of the acivity field and choose VPN-connections -> Configure VPN. 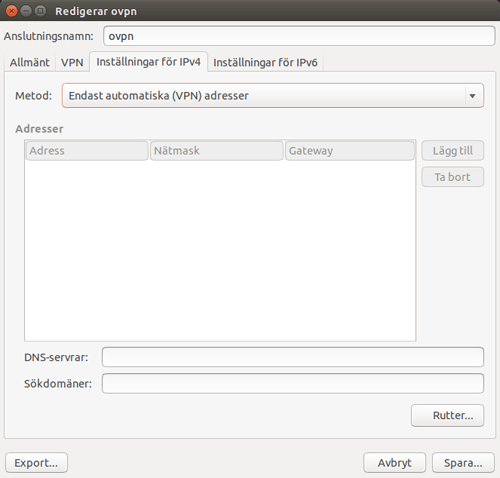 Enter the username and password you used when creating your OVPN account. Go to tab Settings for IPv4, and choose Only automatic (VPN) addresses. You can make the same settings for IPv6 if you are using that. Go back to VPN-tab and click Advanced. In the new widow that opens, go to the tab named TLS-authentification. Choose Use another TLS-authentication, and choose the file ovpn-tls.key. The last step is to enter the Key direction to 1. Save all the configurations you have made by clicking OK, och then Save. Click the network icon in the upper right corner of the activity field and choose VPN-connections -> ovpn.